My father recently passed away and had purchased a cremation years ago. Alejandro was very kind and understanding during this difficult time. I would highly recommend the Neptune Society to anyone. Thank you. I want to tell you how much you have done to help me through this. My parents did very well in choosing you and your company. Just wanted to send a special note of gratitude for all your kindness, patience and help to get everything in order and completed for Frank’s memorial service during such a difficult time. You do a wonderful job and it is so appreciated! Everything turned out beautifully and the greatest comfort is knowing he is at peace and with the lord. God Bless you! I would like to express my gratitude to James Ward of Neptune Society in Arvada, CO. He was beyond professional. He helped me through the process with heartfelt integrity. I felt a sense of calm in his presence. He answered my difficult questions with the utmost assurance of calm and tranquility. A tough pill to swallow, I just lost both Parents in the span of 2 yrs., and 5 months. Thank you to the staff at Neptune Society! My desire was to take care of pre-needs so my kids weren’t having to make these choices under duress. Mark Lane and the staff here have made this happen. I don’t have to worry or be stressed out about it any longer. The entire Neptune team from our buy in two years ago has been nothing but exceptional. They were calming and took care of so many details that I would be at a loss to solve. I am so very glad that we were members. Neptune has helped my family and myself. Thank you so much for your services, it has been a pleasure dealing with Alejandro Ruiz. He was very nice, compassionate, and very helpful. I give him a thumbs up, he is a great guy. Thank you so much. During the difficult time of a loved one passing—the Neptune society has a challenging job. I’m so grateful for the gracious help we received from James Jackson-ward of the Arvada Neptune society. He was kind, clear, professional and supportive during this sad time. My experience in setting up arrangements for my pre-needs went smoothly. It has been easy to set up and payments are made monthly. The staff was professional and helpful. It’s nice to know that this has been taken care of. My dad always likes to plan & be organized. Preparing for his & my moms passing was no exception. He was in hospice during his last days, and although we were prepared, it was still a difficult situation. I called Neptune after he passed & can’t say enough about how supportive & kind they were during this time; something you really need during such an emotional time. They came to my parents home, where dad passed, and were kind enough to pull into their garage. This gave us the privacy that we needed from understandably curious neighbors. They also gave us each time to say goodbye. We didn’t feel rushed, and while we knew the next steps, they took the time to re-explain things in a calm & gentle tone. Although my mom is still with us, I know when the time comes, they will be there when we need them. I appreciated their support & guidance and highly recommend them. Alejandro M.Ruiz, top-notch rep-of of N.Colorado Neptune Society: Came to our rescue, at our time of loss & sorrow, with an abundance of attentiveness & experience. They exceeded our expectations, in regards to our needs, at such an emotional time. My family & I would highly recommend their services, as they did for both of my grandparents, a loving stepdad, & now beloved mom. Special shout out to Alejandro, salute! Thank you, so very much Neptune Society & representative Alejandro M.Ruiz! At, our time of sorrow, you were truly accommodating, compassionate, respectful, and most of all, relatable! Making my family & I feel very comforted! He is a top-notch representative of & for Neptune Society, keep up the fabulous work! God Bless! Dore’B. Todd made my daughter and I welcome and at ease. We had a good visit and they transferred my husband’s ashes out of our sight and assured me they were his ashes. I have heard horror stories about that. He is good at what he does. My dad always likes to plan & be organized. Preparing for his & my moms passing was no exception. He was in hospice during his last days, and although we were prepared, it was still a difficult situation. I called Neptune after he passed & can’t say enough about how supportive & kind they were during this time; something you really need during such an emotional time. They came to my parents home, where dad passed, and were kind enough to pull into their garage. This gave us the privacy that we needed from understandably curious neighbors. They also gave us each time to say goodbye. We didn’t feel rushed, and while we knew the next steps, they took the time to re-explain things in a calm & gentle tone. Although my mom is still with us, I know when the time comes, they will be there when we need them. I appreciated their support & guidance and highly recommend them. We had a very calming experience with Neptune in Westminster, Colorado. The recent loss of my mother was sad and very hard for the family. Alejandro and the staff were so caring and gentle with their guidance throughout the process. We are thankful for the professionalism and efficiency they showed. We highly recommend their services. Alejandro was very helpful for my family to get through the first days. He was sympathetic and understanding and accommodating. We all want to thank the Neptune Society and Alejandro for their assistance. Mark Lane did an excellent service to us by taking his time and focusing on our needs. His manner was relaxed and reassuring. This warmness gave us the courage to ask the hard questions and come up with some great solutions. We left with a sense of peace that we had taken a tremendous load off our children’s shoulders. Thanks, Mark! Excellent service and courtesy, very good company. Both my mother and her husband got their services before they passed, and it’s been worth every penny. My mother was very impressed with Neptune Society and with the services so I talked it over with my husband, and we decided to look into it. A woman came to our home and we liked her and the presentation. There was no pressure at all and it just seemed like a really good idea. We both got the travel insurance because we liked to travel and the fact that we wouldn’t have to ship a body back from wherever it was we were, I thought that was good and it seemed affordable. After my husband passed away and when I finally had to take care of his ashes and go through all the stuff that you have to go through, they made it very easy and simple. It was very positive under the circumstances. James, I have been very pleased with your service and feel very good about having my arrangements in place with the Neptune Society. After my mother’s death, we contacted the Neptune Society, where she had made prior arrangements for her cremation. Alejandro was extremely helpful in handling all our needs in a very professional and caring manner, in some aspects going above and beyond. Their sensitivity and diligence helped to make a difficult time much easier than we anticipated could be possible. Upon the passing of my mother, the hospice center contacted Neptune Society Services who made all arrangements for us. I was then contacted by James Jackson Ward who was very compassionate and assisted us through the process and kept us apprised of what would happen and when. It was a smooth and simple process which is exactly what we needed after what we had just gone through. Thank you for everything! Neptune arrangements over 12 years ago and they took care of everything in Denver, while I returned to Los Angeles. 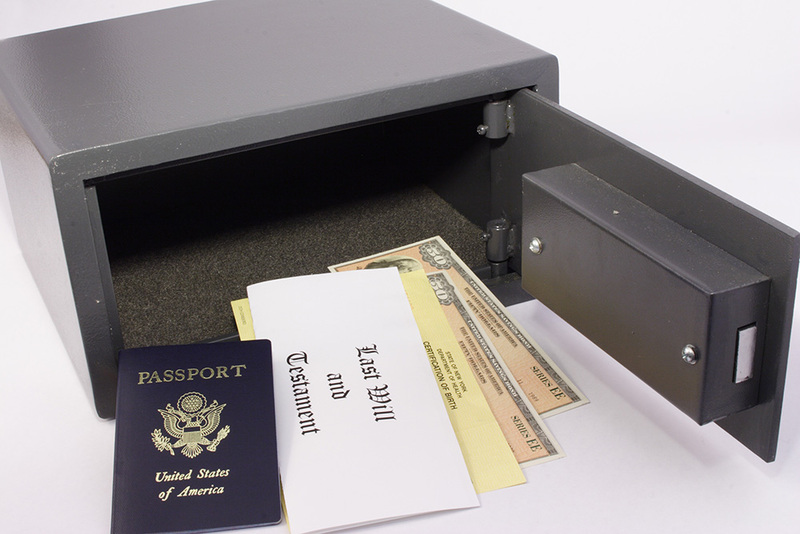 The staff was kind and efficient and I received the cremains in a timely manner, along with the Death Certificates. Thank you so much, James Jackson Ward and the rest of the staff. You made things smooth for me at a very difficult time. The Neptune Society – Denver was the brightest spot in a very difficult time. The services they provided were a godsend and took so much stress off my shoulders. I knew my husband was in the best of hands and everything was done with professionalism, care, and compassion. I already have my policy with them to save my family from the million things that have to happen because the Neptune Society does them all. Having been my father’s executor, I can truly say that my experience with Neptune Society was far superior to what I had to go through with him. This is a gift you give your family. I would like to thank James very much for setting my mind at ease with his explanation of the scattering. a very difficult time much easier for all of us. My parents planned their cremation and purchased services in advance. When the unexpected happened, their forethought and care guided us through a very hard time. We wanted to do the same for our daughter. Our TX daughter had used Neptune Society when her husband had passed in 2015 (from a recommendation of a friend) and related to us how much easier it was to deal with the initial paperwork processing so she could attend to other necessities. We had signed up in June 2017 with Neptune Society and didn’t expect to need their direction and help for my husband’s passing the first part of March 2018. Neptune Society has been extremely helpful in initiating an immediate response with directions and explanations, and what they would do first, and the rest of the steps that would and were their job to finalize this procedure. Carrie Pixler at this office, guided me and our daughters with sympathetic but efficient detail, to lessen the burden that grief carries. Alejandro took care of the details for me. I am 89 and he explained everything to me and was extremely patient. He took the time and even came over to me and help me fill out all the paperwork. I was amazed that he drove so far to help me out when probably everyone goes to the office to do that. Well, he did and he is a very good guy. When the cremation was completed he called me and didn’t even tell me to come pick up the cremated remains, he just showed up and brought the remains to me personally. He went out of his way to bring me the cremated remains, the flag and goodwill. He truly cared and he was wonderful to me. I want to thank him a million times for all the kindness he showed me. I really appreciate him and the Neptune Service. We would like to take this opportunity to thank you and especially your associates Mr. Brennan O’ Shea and Randy Buck for the delicate attention and human respect in the moments of grief and sorrow at the passing of our beloved mother Nora. The way they carried out their duties and the respect they showed towards Nora was heartwarming. These gentlemen embodied what every grieving relative expect at one of the saddest moments in their lives. Our mother was taken care of like a QUEEN and we will always be grateful for this gesture. Please extend our thanks to Brennan and Buck. My representative was Carrie **. Throughout this entire process, Carrie was patient, caring and understanding. She was sensitive to the fact that I had lost a loved one and walked me through everything that I needed to do and explained everything thoroughly. She made the experience as painless and as easy as possible. When I picked up my grandmother’s remains, I was able to meet Carrie in person and thank her. We were very satisfied with the quality of the products we purchased from the marketplace. The only suggestion I would make is to have a little more flexibility to adjust the graphics on the products. The image I received was a little distorted. Carrie, I want to thank you for helping with the funeral arrangements for Donald G. Petersen yesterday. Your expertise and open charm put my entire family at ease knowing our father was taking care of in the best way possible along with being safe. Once again thank you for that. My wife Rene and I wish to express from the bottom of our combined heartfelt gratitude to the Neptune Society. Not only for their genuine heartfelt compassion and empathetic attentiveness, but also for their ability to far exceed any and every expectation we may have had concerning the preceding loss of my father-in-law Edmund Manchego. We wish also to convey our deepest heartfelt appreciation and special thanks to Mr. Alejandro for going above and beyond to make sure my wife and I were completely comfortable with every single aspect of the services while managing to refrain from becoming overbearing. His ability to attend radiating warmth and genuinely compassionate demeanor directly with every aspect of the services was second to none and much appreciated. My wife and I are fairly simple people. We choose to walk through this fickle pass, with the brilliant light of Life Illuminating the love in our hearts so that we can truly let flourish the bonds we create. We both understand how precious this gift of life is and how fortunate we are to be a part of an existence overflowing with beauty and Limitless Wonder. When the light of life has been stolen from the eyes of the ones held close to our hearts. The weight of sadness, loss, and pain is crippling. Attempting to minimize the grieving in order to orchestrate the process of passing truly test one’s capacity, patience, and strength. We wish to express our deepest gratitude and appreciation to the Neptune Society for exceeding any standard. Although anticipated, the passing of Edmund Manchego devastated our family. When a man of his caliber takes his last breath. To us honoring his memory takes precedence. The level of genuine compassion, attentiveness, and Care extended from the Neptune Society allowed us to honor Edmund in the proper way. Their attention to detail, professionalism, and kindness is second to none. We wish also to send special thanks to Alejandro for his capacity to comfort, ability to inform and finesse and fax ciliation. Free from a presence of overbearing nature his willingness to go above and beyond will never be forgotten. From the bottom of our hearts thank you. My mother had everything set up and paid for with Neptune Society so when she passed away, all we had to do was make a phone call. We already had her funeral arrangements set up. They were helpful and took care of everything that needed to be done. I dealt mostly with Chris and she was great. Carrie ** took care of all my family needs as it related to my father’s unexpected death. She was personable, caring, thorough, and most importantly, she took care of everything in a timely manner, given our stressful situation. Thank you, Carrie! Appreciate everything you did for us. Although the program seems to be very complete and the agents very knowledgeable and respectful there is no way I can write a true and accurate review until I have used the program. Of course, then I won’t be able to read, write, talk or fill out questionnaires. But so far at this stage of the program and my life, I am very pleased and have recommended it to other family members. My son was killed by a motorist that was not paying attention to pedestrian traffic. In my time of need and suffering, they made it clear and comforting that they would take care of him with dignity and care. The process was easy and the compassion was evident. Thank you for the help. I contacted the Neptune Society via email and was called by a representative in a timely manner. We agreed on a time to meet, and I spent an hour with him. He was professional and knowledgeable and answered my questions clearly. It is a huge relief to have this end of life issue settled with a reputable company. Thank you! We just signed all the paperwork for our final care plans with Neptune. Our sales rep was knowledgeable and thorough and the process went smoothly. We are pleased to have made our plans, saving our children the burden of those decisions. The Neptune Society staff provided courteous and conscientious support with all the sensitive issues related to our family member’s passing. We needed to arrange for payment from an independent Neptune Society in California to the local Neptune Society in Arvada. Also needed to coordinate obtaining a burial permit in California and scheduling a ceremony at a California military cemetery. The staff in Arvada took care of those details, which was a load off our shoulders. We identified a correction that needed to be made to our initial invoice, and the staff promptly made the correction. Overall, we received attentive and very good service and are grateful for the assistance received from the Neptune Society. I recently lost my father. My father had an account with Neptune Society. This was understandably a very difficult time for my family. I contacted Alejandro Ruiz from the Neptune Society of Denver. From the first time I spoke with Alejandro he was extremely kind and helpful. Alejandro helped guide me through the process for my father. He was always easy to reach and quick to respond to my every request. I cannot adequately express my gratitude to Alejandro. I highly recommend the Neptune Society. 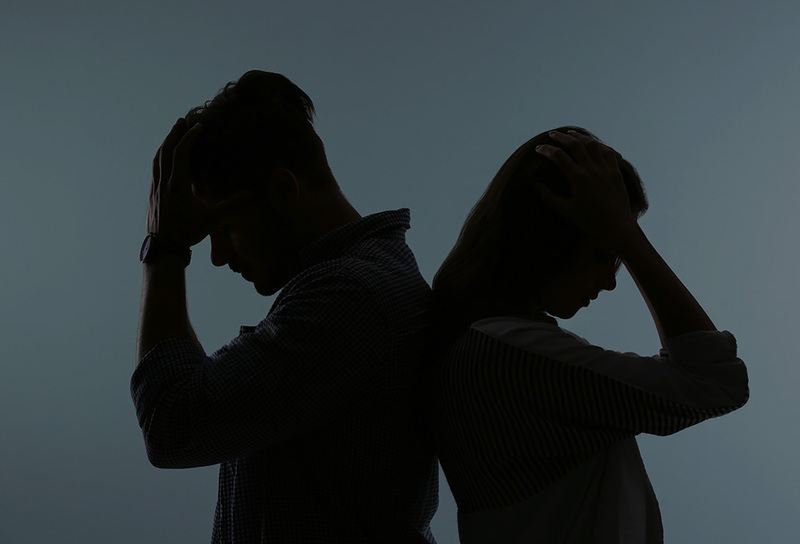 Losing someone that you love has a disorienting emotional quality that makes it difficult to go forward with plans, even when arrangements have been previously put into place. I felt quite grateful to the director of the Arvada CO Neptune Society, Alejandro Ruiz for guiding me through the necessary steps in carrying out my father’s last wishes in a professional and yet personally warm and flexible manner. Mr. Ruiz and the entire staff at the Arvada Center accommodated personal requests and minor changes promptly and courteously. I felt a commitment on the part of the entire staff to minimize any extra strains on the grieving family and I appreciated their care for us all very much. My father signed up for and used Neptune Society. After he passed away, we had somebody that handled all of the associated tasks and everything was handled very well with Neptune Society. They were empathetic but no pricing was discussed because everything was prepaid. It was comforting to know that they were going to take care of everything and I didn’t really have to do much of anything other than to call them and tell them that my dad has passed away. I have to say that I was stunned to see bad reviews posted here. My parents purchased a cremation plan several years ago. My father passed January ’17 and everything they promised they would do – they did. It was an incredibly kind and easy (as easy as it can be considering we just lost my dad) process. We made a couple of phone calls and everything was handled. My mom was able to pick up my dads remains 10 days later with copies of the death certificate and certificate of cremation. This was truly the best gift my parents could have given the 3 of their children. We knew that we were doing a memorial service at a later date and were able to grieve and spend time together with very few worries and no added costs or upset. I have to say thank you to the Neptune Society and to Carrie for helping to honor my dad’s wishes and allowing us to grieve with dignity. Back on Nov. 17th, when I opened my front door to Scott Wills, it didn’t take long to see he was able to handle the subject matter exactly the way I do-with compassion and humor-his presentation manner was professional but warm and he had me convinced within a few minutes to go with the plan I chose!! Thank you very much, Scott!! This organization is outstanding. They help make one of the most difficult times of your life easier and they succeed. Supportive, caring, timely and organized. Not much more you can ask. Thank you Neptune. I’ve had 3 family members use Neptune Society. 2 in California and 1 in Phoenix. We have had great service from the Neptune Society. I would NEVER use a funeral home again. I made one phone call and that was it. We never had a salesman try to upsell us anything after the fact and we didnt have any surprise charges. I would recommend this company to anyone who wants cremation! I cant say enough great things about this company. 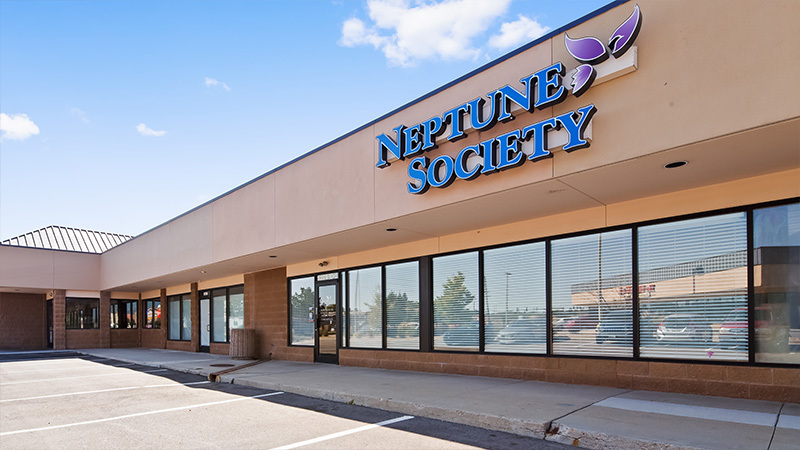 I’ve used a funeral home in the past and other “societies” here in Denver and no other company can come close to the service Neptune Society provides. After experiencing what Neptune has to offer I have told many friends and family members about them and they have also used them for preplanning their cremations as well. Click for a list of items and services that may be included in a Colorado funeral service. Garden of the Gods Visitor and Nature Center is a public park in Colorado Springs. Inform park management of your intentions before arrival and you should have no problems. Officially dubbed the best free attraction in the country, the towering sandstone rock formations against a backdrop of snow-cap mountains make this a site like no other. It is a beautiful place to hold a scattering for your loved one. Horsetooth Reservoir in southern Larimer County is one of the most stunning places ever to watch a sunset or a sunrise. Watching it right over the massive water way is a breathtaking and memorable place to say goodbye to your loved one. 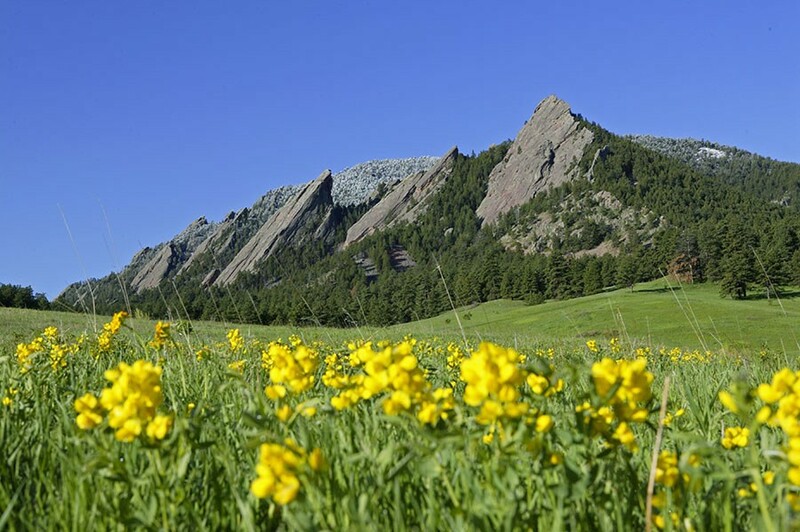 Chautauqua Park in Boulder is 80 beautiful acres of untouched land. The rolling lawns and mountain views are perfect to go with close friends and families on a sunny day and hold a memorable and meaningful scattering. The Denver Botanic Gardens is a public botanical garden in the Cheesman Park neighborhood of Denver. 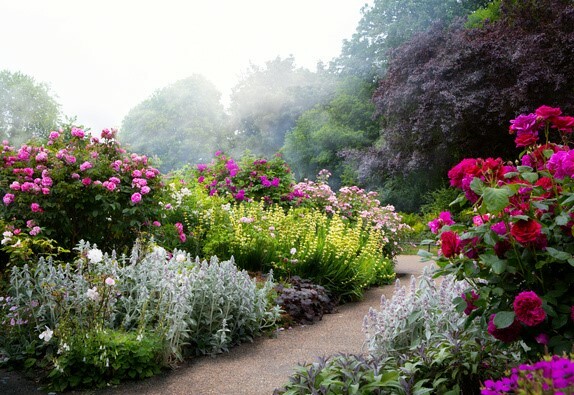 With thousands of plants from all around the world (North America’s largest collection of cold-temperate plants), themed gardens, and a conservatory, it won’t take you long to find a beautiful spot to scatter your loved ones ashes. Be sure to call the Gardens beforehand and ensure you have permission before you arrive. While nature scatterings are always beautiful, a place like this is nice because you can remember where you scattered them and go back to visit any time you like. 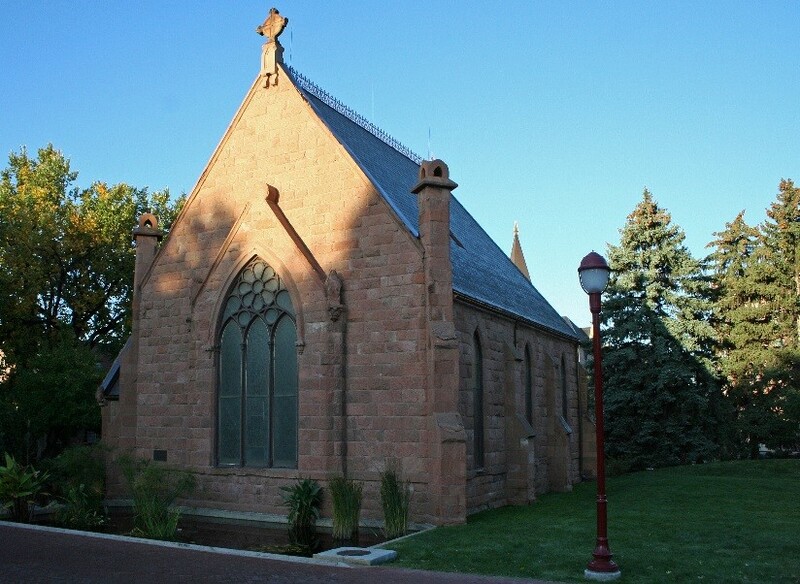 Evans Memorial Chapel is an Early Gothic Revival style chapel on the campus of the University of Denver. It is a beautiful and nationally registered historical site very popular for weddings and memorial services. As it is on the school’s campus you are required to get permission, but this could be a lovely place to hold a memorial service and then go right outside and scatter the ashes. Colorado law allows you to scatter ashes over uninhabited public land, over a public waterway or sea, or on private property of a consenting owner. If scattering at sea you must be at least 3 nautical miles from land, notify the EPA within 30 days of scattering, and avoid beaches and wading pools. You must obtain a permit to scatter on federal land. You can also scatter the ashes, but NOT the container, from the air as the government doesn’t consider cremains to be hazardous material. If the container isn’t biodegradable you must remove the ashes from the container before scattering. What happens if you can't afford funeral services for you or your loved on in the state of Colorado? Although state funeral and burial assistance is in decline, there are available resources. 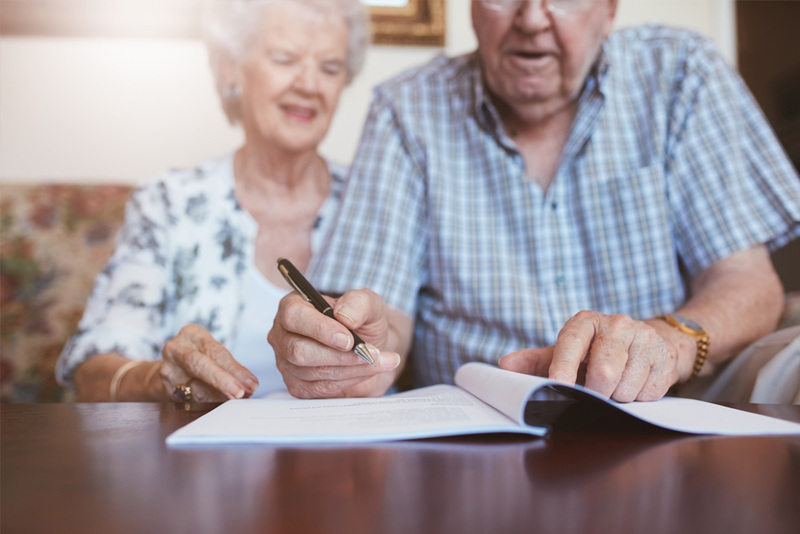 To qualify for the Colorado Indigent Burial and Cremation program, the deceased must have no estate from which to pay for a funeral, no family who can afford a service, and be ineligible for assistance from the Social Security or Veterans administration. If these criteria are met, the Public Administrator, or Indigent Burial Officer of the state, pays for a direct cremation of the deceased (the least expensive method). 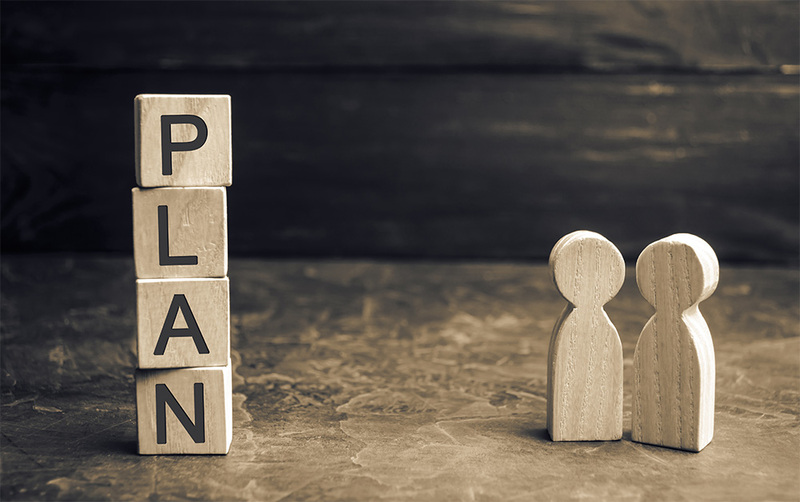 This is why it’s so important to pre-plan. What veterans benefits are available in Colorado? How many funeral homes are there in Colorado? There are 167 funeral homes in 87 cities of Colorado. Bonus Fact 1: Every year Denver hosts the Western Stock show, the world’s largest rodeo. Bonus Fact 2: Colorado’s southwest corner borders Arizona, New Mexico, and Utah. It is the only place in America where the corners of 4 states meet. Bonus Fact 3: Colorado’s Pikes Peak inspired Katherine Lee Bates to write “America the Beautiful”. Bonus Fact 4: Colfax Avenue in Denver is the longest continuous street in America. Bonus Fact 5: Colorado once had 3 governors serve in a single day.